Virtual Freehold £499K (subject to contract). Control room including installed SSL G console, ATC monitoring & furniture. Fully redecorated in the last 4 years, the studio has been given an updated, contemporary feel and furniture has been made to match the stylish new interior. Natural light floods the white control room through tall frosted glass windows. The wood of the glass door frames has been retained, as has the live room floor & ceiling. 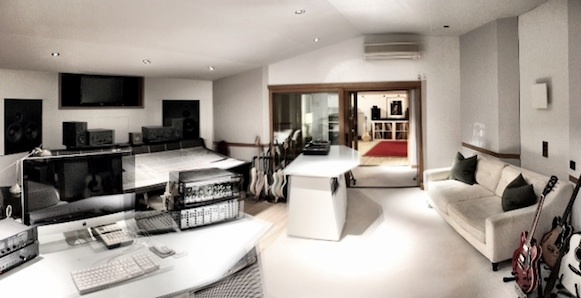 From the engineer's chair there is a direct line of sight to both the live room on the right and the booth behind. The studio's front door is a few feet from the building's main entrance. The studio has a gated, private parking space within a communal lot and it's also possible to park for free right outside, subject to availability. Westpoint has been at the cutting edge of music creativity for 20 years and has been the studio of choice for leading music producers. Artists who have recorded here include Dave Stewart, Jeff Beck, Tom Jones, Primal Scream, Simply Red, Seal, Bjork and many more. The area is rich with music professionals including the tenants of Stanley house, Long Island House, LA Sound and the studios of nearby Impress House. Shepherds Bush is a 5 minute bus ride from the Uxbridge Road, making Warple Way within easy reach of Heathrow airport, the West End and Kensington High Street.